“I am having vitiligo. Is it going to be permanent?” This is the most frequently asked question by vitiligo patients and their relatives. And, a mere thought of whether the vitiligo would have permanent effects or not scares us a lot. So, can vitiligo be treated effectively without any side-effects? Yes, we surely can treat vitiligo without any side-effects with homeopathy. Learn all about it by reading this post below. Today, everyone is well aware of ‘Vitiligo’ or, in other terms, ‘Leucoderma’. Vitiligo is a disease which causes the loss of skin color in patches. Normally, hair color and skin color are determined by melanin. When the cells which are responsible for producing melanin die or stop functioning, vitiligo occurs. Vitiligo can affect the skin on any part of the body. The extent of this skin condition and the rate of color loss occurring due to vitiligo is unpredictable. Vitiligo has a special significance to the patients in our country because depigmentation is obvious on the dark skin and a combination of individual, family, and societal responses to vitiligo place a huge burden on Indian patients with this disease. Often, vitiligo patients experience embarrassment when being social due to the depigmented skin. Vitiligo is known to be an autoimmune condition, in which multiple immune response genes are believed to be involved. So, its results may not always be encouraging, even though there are different treatments to improve your affected skin’s appearance. 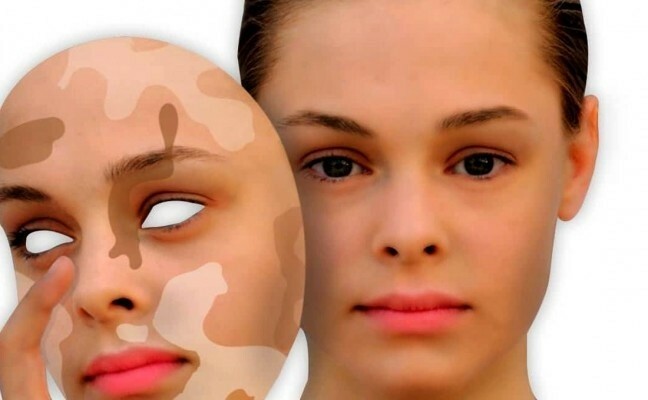 If the depigmented skin patches are relatively small in size, you can use skin camouflage cream to cover them up. Depending on the chosen mode of the system of medicines (Allopathy, Homeopathy, or Ayurveda), the results can be varying. In general, the combination treatments, such as phototherapy (treatment with light) and medication, give the best results. In some cases, conventional treatment may help to restore pigment (color) in your patches but the effect does not usually last and may have various side-effects. And, these treatments cannot stop the condition from spreading. In Ayurveda, management of vitiligo is carried out using purification therapies by using herbal medicines aimed to induce cleaning and pacifying imbalanced body energies. Also, several medicinal oil preparations, which contain psoralen to stimulate melanocytes when exposed to ultraviolet light exposure, are used for the treatment for vitiligo. Homeopathy is the safest and gentle treatment which is advised prominently in all cases of vitiligo. Several benefits of opting for Homeopathic treatment are listed here. As homeopathic medicine works on the cause of any disease condition, the first thing to focus and achieve is the control the spread of the disease. The further spread or the tendency of development of new spots can be avoided or delayed in extensive cases. Homeopathy can help you control the further spread of the disease effectively without any side-effects. As homeopathy works at the deeper level, it curbs the further destruction of melanocytes and stimulates melanin production by correcting the altered immune response. So, one can gradually experience the re-pigmentation i.e. regain the normal color of the skin. In extensive cases, particularly to the patients suffering from vitiligo in the acral areas, (Bony area like knee joints, elbow joint, palms, and soles) which are resistant to the treatment due to the lack of hair follicles that can act as reservoirs for melanocytes, homeopathy offers good results. Unlike other treatments, there are no side-effects of homeopathic treatment. Also, it is important to note that homeopathy provides a long-lasting result. The best results can be achieved if the treatment is started in the early stages of vitiligo. Also, associated disease conditions, such as thyroid and diabetics, can also be controlled with homeopathic medicine and proper diet regime. 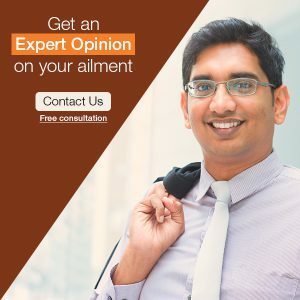 In addition to this, as homeopathic medicines are majorly pills, which can be taken easily by any age group of individuals including children, is the added benefit for the choice of treatment. Also Read: – What Increases Your Risk for Developing Vitiligo? Patients also need to maintain good general health and a balanced nutritious diet enriched with adequate proteins, vitamins B-complex and E, and minerals, such as copper, zinc, and iron. Also, one needs to avoid emotional, chemical, and physical trauma as far as possible. So, by going for homeopathic treatment for vitiligo, you can treat the skin condition effectively. Get in touch with expert homeopathy if you or anyone among your family and friends happen to suffer from vitiligo.